Suspended, spun, and continuously photographed in motion, the image of a gunlocke chair is captured in the reflection of mirrored mylar. Fluid optical distortions transform the chair stretching and replicating the form, appearing to exist in a transitory flux. 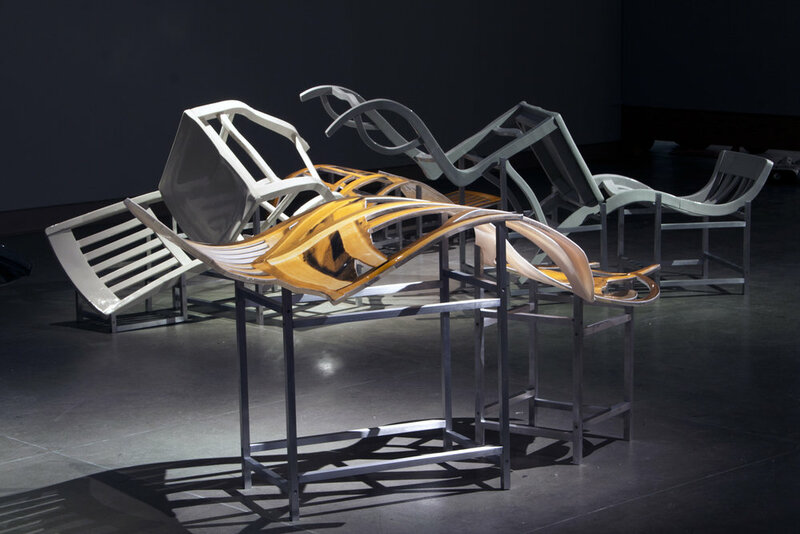 The chair is disassembled and cast in gray scale porcelain. Wet from the mold, it is distorted- recording the energy in the photography. Digital glass decals are fused to kilnformed glass and waterjet cut to free the image from the picture plane. Image and glass move with heat to flow from solid to liquid in response to the imagery. Multiple stills images are animated to create the video projection. Stilled on aluminum, the gunlocke chair exists in varying states of believability. 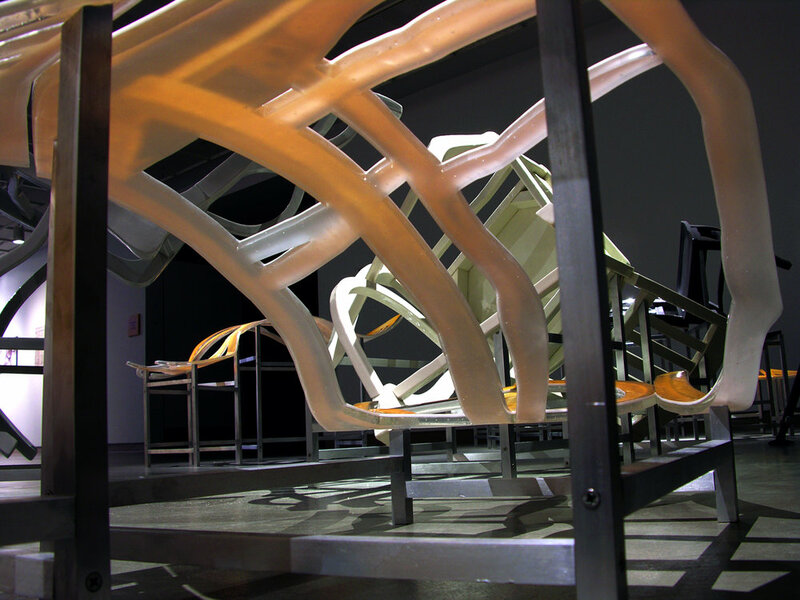 Form in porcelain, hybrid image and glass, and video projection collapse together in space creating a tactile, felt connection between body and chair. MATERIALS. porcelain, glass, digital glass decals, aluminum, video.